Aw... such an array of dancers! 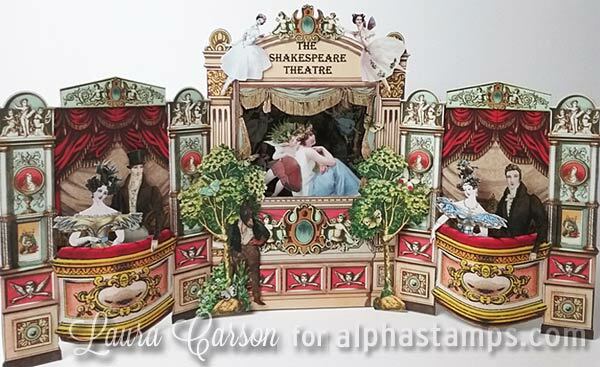 There are some large ones (3" to 3-1/2" tall, which could be used on the outside of the Punch & Judy Theatre), many to fit on that stage (about 2-1/2" tall), and a few smaller ones that could be in the background. Design Team Member Laura Carson made The Shakespeare Theater Presents A Midsummer's Night Dream (see the wide photo below). More info in the blog and/or see the supply list.